With the highest standards in pet grooming. The groomers you've been looking for. 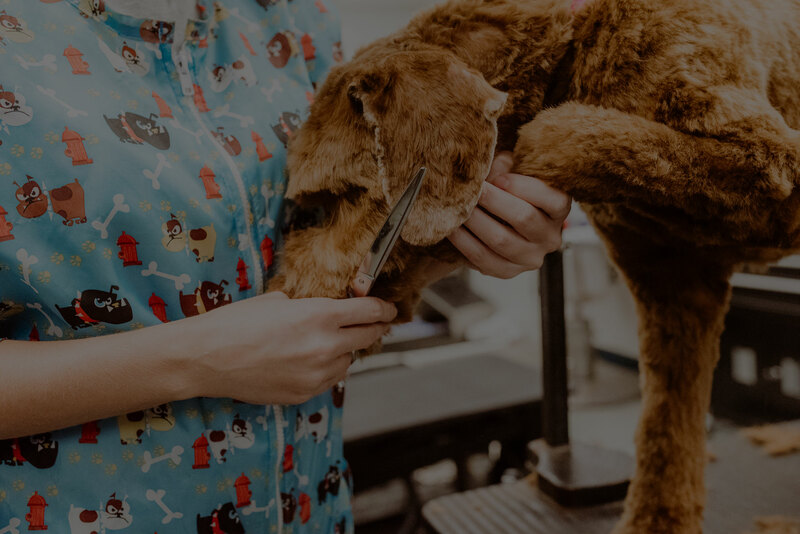 Our certified grooming staff possesses the expert knowledge needed to simultaneously offer skilled grooming services, safety and comfort to our patients. 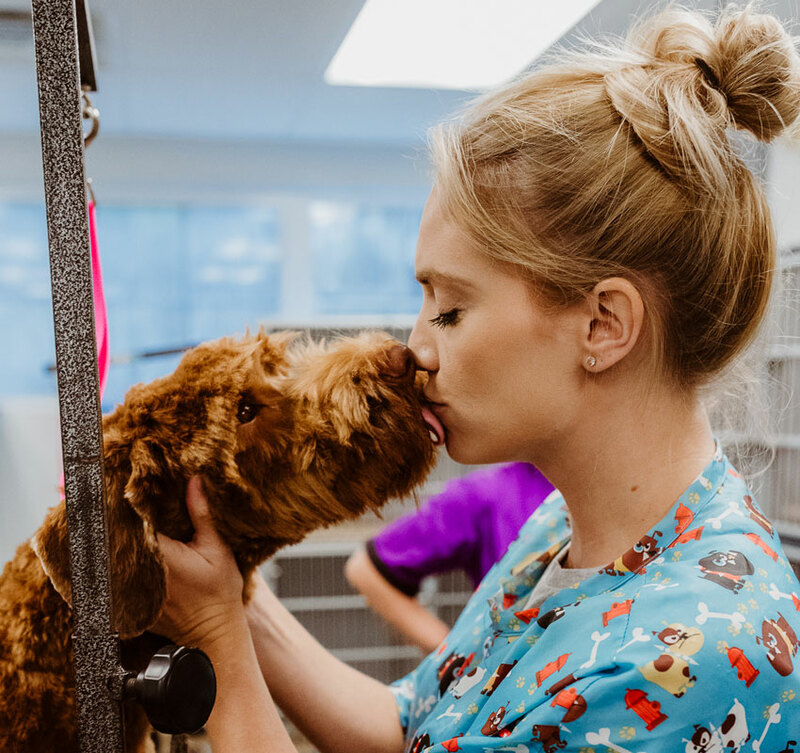 Our grooming department offers a variety of services to help keep your pets clean, comfortable and happy. Our grooming services include: bathing, clipping, nail trimming, teeth brushing, ear cleaning, furminator treatments, and dematting. 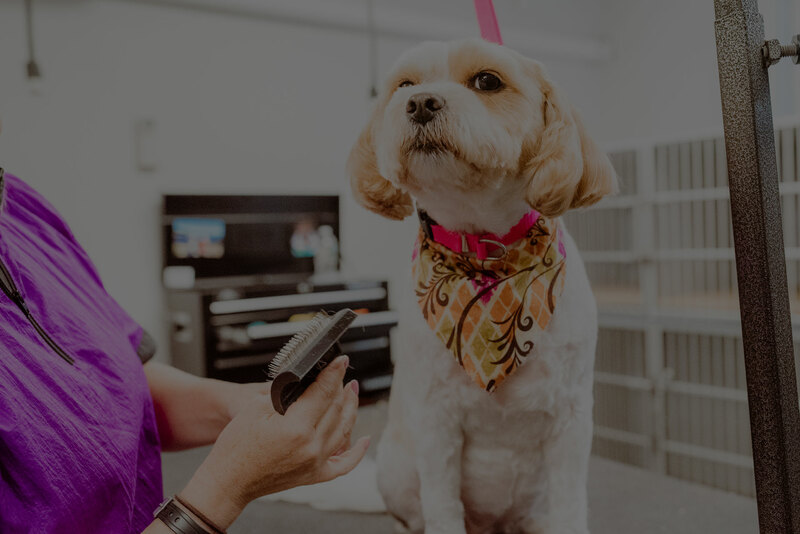 Our groomers use high end shampoo and conditioning products and provide professional advice in how to best keep up with your pet’s hygeine needs between grooming appointments.